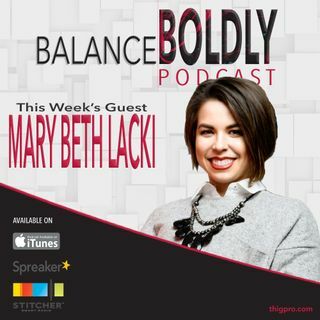 Mary Beth Lacki is a marketing strategist and consultant, and the founder of White Crane Consulting. She works with entrepreneurs to figure out the soul of their brand. She is known as a “Marketing GPS” that navigates the marketing levers for those who already have an existing brand. Her business principles come from more than 20 years of experience with theater and her intercultural experiences from traveling across the globe. Mary Beth joins me today to share what brings the most success ... See More and win-win scenarios in figuring out what a brand is. She explains the parallelism between brand marketing and studying a character from a stage play and talks about the importance of mindset and having a supportive tribe of people surrounding you, and how she uses things that move her to bring her peace.